Fairies abound in the realms of myth and folklore. They have enchanted humans for centuries�but are these mischievous, ethereal creatures more than just myth? One could ask for no better guide to the fairy realm than Ralph Harvey, one of England�s foremost modern-day witches. 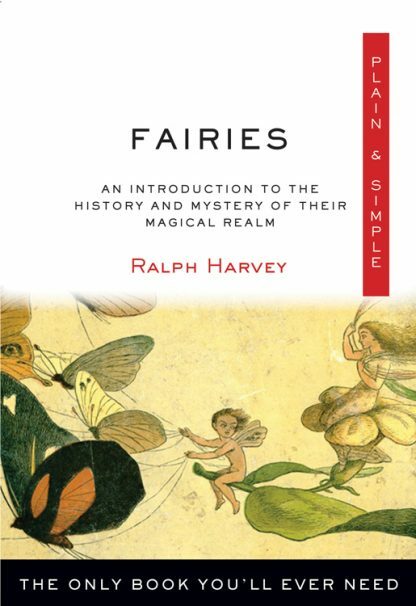 In Fairies Plain & Simple he intersperses his own intriguing fairy encounters (among them, a mysterious musical interlude in an Irish valley) with succinct yet interesting introductions to fairy lore. You will learn why roses have special meaning to fairies and why �elf bolts� are significant as well as how fairies influenced everyone from Henry III to Sir Arthur Conan Doyle. Harvey even describes the best ways to seek out fairies (hint: aligning your chakras will help) and how to express gratitude for fairy favors. Ralph Harvey is the head of the Order of Artemis, which in itself encompasses over 200 traditional Wiccan covens worldwide. Harvey is a repository of witchcraft research in its purest, original form and a longtime believer in the magical fairy realm.